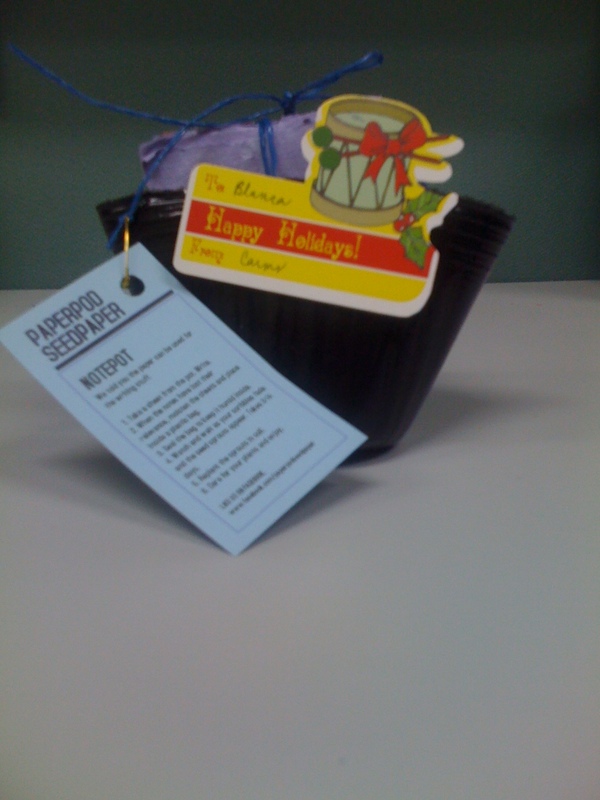 I received an interesting christmas gift this morning from my office seatmate, Carmela (yes, the bagoong rice chef). It’s a Paperpod Seedpaper. We told you the paper can be used for writing stuff. 1. Take a sheet from a pot. Write. 2. When the notes have lost their relevance, moisten the sheets and place them inside the plastic bag. 3. Seal the bag to keep it humid inside. 4. Watch and wait as your scribbles fade and the seed sprouts appear. Takes 3-14 days. 5. Replant the sprouts in soil. 6. Care for your plants and enjoy. If you want to know more about Paperpod Seedpaper check OUT their facebook page here CLICK HERE. « Care for some Bagoong Rice?